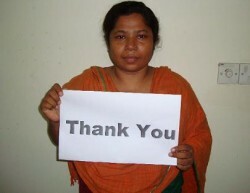 Click on the heading to read about the recent release of 2 labor rights activist, what still needs to be done and how you can help. You hear us rave about Anvil knitwear and this month we are not alone. Check out cover story about the good they are doing in the industry and how you as a consumer of screen printing services can request to get involved simply by asking your printer for Anvil apparel! This is a great link for teaching your class rooms the environmntal lesson behing their t shirt! We are thrilled to yet again work with Anvil for gathering the tshirts needed to print the 40th anniversary tees for Earth Day Columbus! Anvil is the 3rd largest purchaser of organic American cotton and has the 6th largest sustainable apparel program! If you know about our committment to sustainability here at American Canvas you know that we are HUGE supporters of organic in transition purchasing. What the heck is that???? Well, it is how companies like Anvil Knitwear support farmers in the transitioning of their fields to organic. A farmer can not be "certified organic" until their crops have grown chem free for 3-5 years. so in the prossess companies show their important financial support of these farmers by purchasing the "in transition" crops. American Canvas is currently accepting orders for Class of 2010 celebration T shirts. We have a vast amount of designs ready for your school pride t shirts. Organic cotton and recycled cotton t shirts will show your pride responsibly! Contact Brenda at 614-263-4178 or brenda@americancanvasprinting.com to discuss your graduating class needs. American Canvas is Ringing in the New Year!!!! International labor rights forum publishes "shop with a conscious consumer guide"
The International Labor Rights Forum and Sweatfree communities have published the “Shop with a Conscious Consumer Guide”. This Guide has increased a lot over the last couple years. More and more companies in the apparel industry are converting to sweat-free and eco-friendly production. These companies must submit an application and meet the criteria for sweat-free labor to make it on to the guide. This ensures that the companies are truly sweat-free. The guide contains apparel such as shirts, coats, shoes, and accessories. The Ain't I A Woman?! Campaign urges you to join us in launching a national boycott against clothing manufacturer Liberty Apparel. We ask you take a stand against sweatshops here in the U.S. and speak out against the illusive subcontracting system. 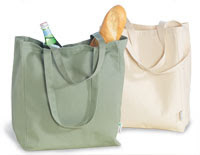 Thanks to the help of one of our clients we found the perfect shopping bag company to partner with! 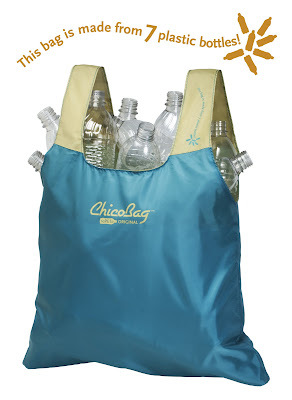 These bags are made of 100% recycled plastic bottles (100% polyester). They come with their own zip top 3"x4" carrying case. They are perfect for printing on although they will have the Chico bag print on them also (sorry, completely blank is not available). It's a wonderful company in Chico California that was started by a man who was so deeply disturbed after seeing the local land fill that he knew he had to find a way to do his part! Contact us at Sales@amricancanvasprinting to learn more aabout styles, colors and pricing. Contact us at Sales@americancanvasprinting.com to find out more about our 10% discount through 2009 on ALL Recycled tees! When we print your order on Anvil Charity Pink tees and caps. 14 styles available in the Charity Pink color! How about neither? Each year Americans throw away some 100 billion plastic bags, typically made from petroleum or natural gas; its environmental impact is akin to dumping nearly 12 million barrels of oil. The story isn't much better for paper bags: the 10 billion used every year come from nearly 14 million chopped down trees. So what's an eco-conscious shopper to do? 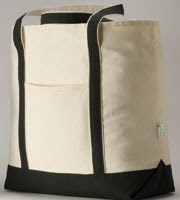 Check out Anvil's newest additions to its 14-product eco-friendly line—the 100 percent organic cotton tote and the recycled cotton tote. Now, that's what we call retail therapy. We love our planet, we love providing healthier alternatives. HOWEVER, we recently switched to a PVC/Phthalate free ink mixing system at great expense. What we are finding is that sampling inks will never show what true production variables will hold. We have seen our production time slowed greatly= loss of money, a required higher heat setting for both our flash unit and our curing oven = not at all amused by the carbon footprint this is causing. We are using more haze remover which is the only not fully biodegradeable chemical used in our screen reclaiming=less environmentally friendly than using our traditional printing inks. We are even loosing screens because the higher heat of our flash unit is causing our platens to heat up so much that the emulsion is slowely being burned into our screen mesh with each rotation=loosing $ and wasting raw materials. When we reclaim these screens we are finding many of them are unable to let go of the emulsion leaving them unusable! We never said going greener and greener as a company would be easier, in fact we state that on the "getting to know us" section of our blog. We also stated that the reason for our blog is to educate the consumer on the environmental impact of our industry both pros and cons hence why we even report the problems we come across...yes, not all is perfect in any business, we just confess it publicly. We will continue to use these inks until they are gone and also offer the traditional and phthalate free plastisol inks we have always offered. Once the Phthalate/Pvc inks are gone we will most likely use a phthalate free ink that many printers rave about! This is when we recieve emails from consumers saying just use water based! Guess what if a shop is doing true production rates with water based, they are using a nasty chemical to prevent the ink from drying in the screen within minutes and this causes VOC air pollutants that our plastisol does not create. We will use water based when advances are made. Until then, it smells of green washing to us. We still reclaim screens with citrus and soy based biodegradeable chemicals, supply our clients only with sweatshop free apparel and accessories, we provide all communication electronicly including invoicing all via our solar powered web server, we do not pack orders in plastic bags unless we have biodegradeable bags recieved in our orders from distributors, then we recycle them by using for higher end or light colored clothing. It's times like this that remind us, going green is doing the best you can rather than being a part of the problem. TreeHugger is the leading media outlet dedicated to driving sustainability mainstream. and businesses who wish to reduce their environmental impact. Our Mission is to use the power of communication to improve the global environment. We are thrilled! For 3 years we have been researching and testing every ink that comes close to our demands for Eco friendly. This requires not only ingredients that we are happy with but inks that do not grow mold and go bad after a few months (this causes not only waste but what is considered haz mat waste...yep water based inks fall under that). It also required that the ink prints well, gives us the baby soft hand (feel) to our prints that we pride ourselves on but also we play with special effects inks, we needed to not give up on providing that service. Finally we found an ink that meets all of these needs now that our industries technology is slowly growing to meet the needs of sustainable designers and printers like our selves! The new ink will be in house by April 10th and we can not wait to play! We have no interest in causing waste with our existing inks so as long as we have colors available you can take .25 cents of per print if we have the color you need in our existing inks. For the new inks, they cost much more but we are determined to continue helping business' and events through these rough economic times so our printing prices will remain the same! A new action plan to make fashion more sustainable and less environmentally damaging was launched today at the start of London Fashion Week, by Defra Minister Lord Hunt. The Sustainable Clothing Roadmap has brought together over 300 organisations, from high street retailers, to designers and textile manufacturers to battle the environmental impacts of 'throw away fashion'. Companies and some of the biggest names in fashion have signed up to take actions to make a significant difference to the environmental footprint and social inequalities which blights some of the production and retail processes of consumer fashion. While having many economic benefits, clothing has a significant environmental and ethical impact ranging from increased carbon emissions, waste, water usage and pollution to child labour and unfair trading conditions. The clothing and textiles sector in the UK alone produces around 3.1 million tonnes of CO2, , 2 million tonnes of waste, and 70 million tonnes of waste water per year - with 1.5 million tonnes of unwanted clothing ultimately ending up in landfill. "This action plan represents a concerted effort from the fashion industry, including top names in the high street and manufacturers to change the face of fashion. "Retailers have a big role to play in ensuring fashion is sustainable. We should all be able to walk into a shop and feel that the clothes we buy have been produced without damaging the environment or using poor labour practices, and that we will be able to reuse and recycle them when we no longer want them. "I'm delighted that so many fashion companies have signed up to the sustainable clothing action plan and I look forward to seeing these actions come to fruition." · Marks and Spencer's, Tesco and Sainsbury - All of these have signed up to a range of actions on increasing their ranges of Fair Trade and Organic, increasing take back and recovery of unwanted clothing and supporting fibres/fabrics that enable clothing recycling. · In addition M&S and Tesco are supporting green clothing factories, animal welfare across their cotton supply chain and increasing consumer awareness on washing at 30 degrees centigrade. · Tesco - are extending their traceability programme across cotton supply chains to ban cotton from countries known to use child labour as well as carbon labelling of Tesco laundry detergents. · Continental Clothing - Launched a new clothing line EarthPositive to address broad spectrum of sustainability issues, including organic cotton farming, ethical manufacturing and low carbon footprint. · Adili and Continental Clothing - Continental Clothing have measured and reduced the carbon footprint of their clothing products. They are now working with sustainable online retailer Adili to promote carbon labelling to consumers. · T Shirt and Sons - Already using organic cotton to manufacture their T Shirts, T Shirt and Sons are now developing the first Global Organic Textile Standard (GOTS) certified system for eco printing on Organic cotton. · Association of Charity Shops, Oxfam, Salvation Army Trading and Textile Recycling Association - increasing consumer awareness on the environmental benefits of clothing reuse as well as increasing clothing recovery infrastructure in the UK. They will open more "sustainable clothing" boutiques of high quality second-hand clothing and new sustainably designed garments. · Fair Trade Foundation UK will increase the volume of Fairtrade cotton products to be in at least 10 per cent of cotton clothing in the UK by 2012. · Centre for Sustainable Fashion at the London College of Fashion - Setting up this centre to provide practical business supports to the clothing sector on sustainability and fashion. 1. Please see the roadmap with all actions and the action areas. "Adili are really excited to be part of a strategic and pioneering project in sustainable clothing. Ethical clothing is about considering and challenging every step in the supply chain. As a 'consumer facing' retailer we are passionate about sharing learnings with our customers and through our Carbon Labelling work we hope to challenge people's thoughts and behaviours in reducing their own individual footprints." "Reducing carbon emissions is key to improving the sustainability of the clothing and fashion industry. As consumers increasingly seek to make ethical purchases, being able to communicate the carbon footprint of clothing will play an important part in enabling more informed buying choices. The Carbon Trust is committed to working with businesses to measure and reduce the carbon footprint of their products - and to help them demonstrate this commitment through our Carbon Reduction Label. We are delighted to support the Defra roadmap in this way." "The collective action that is evolving through the Defra roadmap is testament to a new mindset in industry and education in this country and beyond. It is the coalition between those involved at every stage of the fashion cycle that is going to redefine what fashion really exemplifies. It is inspiring and energising to be a part of this vision for the future of our industry. "The Centre for Sustainable Fashion at London College of Fashion extends its focus across research, curriculum and business support to evolve positive change in the ecological, social and cultural dimensions of fashion. Our commitments proclaimed through the Defra roadmap give us the platform to work collaboratively across industry and education creating a new knowledge economy." "With environmental issues so high on the agenda we're delighted to see so many organisations engaging in actions that will help improve the sustainability of the clothing industry. We know that the majority of consumers are keen to lead more environmentally responsible, sustainable lifestyles, so it's good to see some of the barriers such as price, lack of information and convenience being removed." "We are very proud that our EarthPositive® product family serves as a practical demonstration that the ambitious agenda for sustainable clothing set out by Defra is achievable now. Our garments are 100% organic and ethical, with a 90% lower carbon footprint, and at the same time attractive and commercially successful. We welcome the Clothing Roadmap as a broad industry forum, to share our experience and expertise, and to learn from others involved. I believe the Action Plan will spur the clothing industry on to accelerate their efforts." "In the next few weeks we are launching the first ever Carbon Reduction Label for clothing products, with the aim of informing the consumer of the impact of their clothes on climate change from raw materials and manufacturing, but also, crucially, their own contribution to the carbon footprint through retail choice, washing, drying, ironing and disposal. Defra's Sustainable Clothing Roadmap rightly considers informing, educating and influencing consumers as a critical factor on the road to sustainable products market. We are proud to play a part in this drive by providing consumers with accurate, factual information, and by inviting other brands and retailers to use our experience." "The Fairtrade Foundation welcomes Defra`s 'Sustainable Clothing Action Plan' which we hope will be a catalyst for collaboration between stakeholders and a another step towards urgently needed change. "Fairtrade ensures vulnerable small scale cotton farmers, who are at the very bottom of clothing supply chains, get a better deal from trade and can play their part in achieving complete sustainability through the cotton clothing industry. "We hope that the action plan will be embedded within business practices to bring about poverty alleviation and real solutions for farmers and the environment." "The Local Authority Recycling Advisory Committee (LARAC) welcomes Defra's Sustainable Clothing Roadmap and are delighted that this important element of the waste stream is being addressed. Local authorities remain committed to increasing recycling and through this action plan we are working with our partners to raise awareness of this issue and further reduce the amount of textiles being sent to landfill." "We're delighted that many of the actions from Plan A, our 'eco-plan' have been incorporated into the clothing roadmap. The successful M&S and Oxfam Clothes Exchange is already helping to save millions of garments from landfill and we are keen to share information on initiatives like our 'eco-factories and 'Wash at Thirty' campaign so that in time other clothing retailers will be able to benefit." "Nike is pleased to have joined this multi-stakeholder partnership driven by Defra and focused on establishing a road map for sustainability in the clothing industry. It's this type of progressive action and collaboration that leads to new growth opportunities, industry and consumer commitment to a sustainable future, and encourages proactive engagement rather than taking immediate legislative action. "The build, buy and bury model is dead. We must design our own future. In order to do that, we need to share intellectual knowledge, create new opportunities for sustainable economic growth and engage the consumer in the process. "Nike's commitment to sustainability is embodied in our Considered Design ethos, which combines innovation and sustainability into all our products. We are an innovation company and we know that if we want to serve the athlete of tomorrow then we need to design a future in harmony with the planet." "Oxfam is working hard with others to increase the quantity of unwanted clothing that can be saved from landfill and recovered for re-use and recycling. Everyone understands the commercial and environmental imperative behind this key action point." "The boutiques highlight the importance of sustainability, in particular the good value and environmental sense in re-using clothing. We plan to open new boutiques around the UK during 2009. Oxfam has worked with renowned photographer Rankin, stylist Katie Shillingford and a great team from the world of fashion, music and film to create SUSTAIN ME a campaign that proves sustainable fashion can be both stylish and trend led." "With 18 million customers coming through our doors every week, we have the ability to encourage positive change on important environmental issues relating to clothing. We continue to build on our leading position as the biggest UK retailer of Fairtrade, and now sell a t-shirt made with Fairtrade cotton every ten seconds. We have also brought about tremendous uplift in the use of our clothing recycling banks. "Sainsbury's will continue to work with Defra and the other companies in the Roadmap project. We believe that by joining forces, we can greatly reduce the environmental impact of the fashion industry." "We at T Shirt and Sons have been at the forefront of developing licensed organic textiles for several years and as the UK's leading environmental t shirt printer we are pioneering new systems to ensure credibility of certified organic textiles throughout the decoration process. We have a clear vision to ensure that the provenance and integrity of certified t--shirts are retained throughout the whole production cycle. "Using our position in the marketplace, we believe we have a responsibility to share information within our industry to help promote the use of Organic and Fairtrade cotton. We furthermore believe that by demonstrating 'Good Practice' we can guide other manufacturers in reducing their environmental and carbon footprints and help make the textile industry more sustainable." "We're working hard to roll out across our supply base a pioneering system, which traces the country of origin of cotton supplied to us, as we believe transparency in the supply chain is a key part of sustainability. We share Defra's desire to see long lasting co-ordination within the industry to create sustainability and are proud that all of our current activities are part of their Action Plan." "We fully support the development of Defra's Sustainable Clothing Roadmap. Clothing and Textiles is the UK's fastest growing household waste stream and hence it is crucial for the industry to act now to maximise opportunities to promote re-use and recycling of clothing. The Textile Recycling Association has a good working relationship with the Local Authority Recycling Advisory Committee and our charity partners and we are working on a strategy that we are sure will deliver significantly greater diversion rates in years to come". "The Textile Recycling Association is delighted to be taking part in this process. The Clothing and Textile industry accounts for an estimated 5 to 10% of all environmental impacts throughout the EU, so improving the environmental performance of the industry is vital. It is also good for the economy. The used clothing industry directly employs thousands of people here in the UK and millions worldwide. It also provides a vital source of income for many UK charities.and can generate significant revenues for local authorities, which can help to offset the cost of operating other waste and recycling collections". On Friday February 27, 2009 I attended a seminar held for those of us in the garment decorating industry. This seminar provided up to date information regarding and interpreting the Consumer Safety Protection Information Act. The term "childcare article" means a consumer product designed or intended by the manufacturer to facilitate sleep or feeding of children 3 or under or to help children with sucking or teething. Thank you all so much for bearing with us while we considered how to continue doing business with in the laws of our federal government. Those of you familiar with American Canvas's work the past 3 years know we have researched and tested many inks that are phthalate free, phthalate compliant, and to date are in the process of narrowing down our decision of which we will choose to transition our studio into for full time use. We have been working with numerous options because we started our company based on our own environmental activism and workers rights activism. However our industry has not had the exact options that we were looking for but fortunately over the past 1 1/2- 2 years our industry is catching up with our concerns! We will be SO happy when we can announce that 100% of our inks meet our standards but for now we are delighted that so many companies are getting on board to provide us the best technology can provide to date! Bring 'em on children's designers, we're back in the business of printing our fab organic and sweatshop free kids clothing for you! Plastisol inks are innocuous when used with reasonable care. A true plastisol ink contains no air-polluting solvents or volatile organic compounds. The manufacture, transportation, storage, use, and disposal of plastisol inks do not cause injury, illness, or environmental contamination as long as the appropriate safety and environmental protection procedures are followed. Most plastisol inks have a Health Rating of 1 (hazard - slight), a Flammability Rating of 1 (hazard - slight), a Reactivity Rating of 0 (hazard - minimal) and a Personal Protection Rating of B (wear safety glasses and gloves). Many textile screenprinters use water-base inks because they, or their customers, believe that waterbased textile inks are safe in the shop and do not damage the environment. What they do not realize is that water-based inks, like all other inks, are industrial chemicals. Screen printers who buy and use water- based inks are required to obey exactly the same local, regional, and federal laws and regulations pertaining to employee training, storage, handling, and disposal as screen printers using any other kind of textile ink. What can honestly and accurately be said about water-based inks, shop safety, and the environment? * Water-based inks can be cleaned up with water. most screen printers use mineral spirits or something similar for cleaning up plastisol inks. American Canvas note: We use all earth friendlier soy based reclaiming products and along with many printers activly encourage other printers to stop using harmful reclaiming chemicals that are no longer needed thanks to technological break throughs. * The Occupational Safety and Health Administration's (OSHA) Right to Know (RTK) regulations apply to water-base inks just as much as to any other kind of ink. * You must have Material Safety Data Sheets (MSDS Sheets) on all the water- based inks and ink additives in your plant. * You must make sure your employees read and understand the MSDS Sheets. * You must train your employees to handle, store, and clean up water-base inks safely and make sure that they do so. * Some water-base inks contain volatile organic compounds (VOC's), chemicals that evaporate as the ink dries and, unless you have an excellent ventilation system, get mixed into the air everyone in the plant breathes. * Until recently, some water-base inks or ink additives contained chemicals that were suspected or known to be human carcinogens; that is, they could cause cancer in people exposed to them. Review the MSDS sheets on the inks in your plant carefully to determine if this is the case with any of the inks you use. * Do not assume that you can dispose of water-based inks, or waste water used to clean waterbased inks off screens and squeegees by dumping it down the drain. Only your local waste water treatment facility can determine if the ink you are using can be disposed of in this manner, and if they do permit it, they will certainly put limits on how much you can dump down the drain. * If your waste water is not processed by a wastewater treatment plant (if you have a private septic system) you should consult with the nearest health department before you start dumping your waste ink and wash water down the drain. I am unaware of any research or scientific reports that indicate that the chemicals used in water- based inks are safer to manufacture, use, or dispose of than the chemicals used in plastisol inks, assuming that in both cases the chemicals are processed in accordance with applicable health, safety and environmental protection regulations. On the other hand, water- based inks, like all other kinds of screen printing inks may be hazardous to your health and damaging to the environment if handled illegally or carelessly. More Universities standing up against sweatshop clothes! More universities ending contracts with sweatshop clothing manufacturers! acebookMixxMy SpaceYahoo! BuzzPermalinkBy STEVEN GREENHOUSPublished: February 23, 2009The University of Michigan announced on Monday that it was ending its apparel licensing agreement with the Russell Corporation, becoming the 12th university to do so in response to the company’s decision to close a unionized factory in Honduras. writePost(); University of Michigan officials said an agreement under which Russell made T-shirts, sweatshirts and fleeces with university logos would end as of March 31 because Russell had violated the university’s code of conduct calling on licensees to guarantee the basic rights of workers.Michigan joined Columbia, Cornell, Duke, Georgetown, Purdue, Rutgers and several other universities that curtailed agreements with Russell, a subsidiary of Fruit of the Loom, which is owned by Berkshire Hathaway.On Jan. 31, Russell closed its Jerzees de Honduras plant, where 750 of the 1,800 employees had joined a union, and the management and the union were in a contract dispute.The Worker Rights Consortium, a factory monitoring group sponsored by 185 universities, condemned the closing, saying it had been done partly because of antiunion animus. Another monitoring group, the Fair Labor Association, also found labor violations. In a report issued Feb. 16, Russell said the closing was the result of “economic considerations and was not caused by the presence of the union at the factory.”John Shivel, senior vice president for marketing, advertising and communications at Fruit of the Loom, said the company could not grant an interview about the universities’ decisions.Kelly Cunningham, a University of Michigan spokeswoman, said the school ended Russell’s license on the recommendation of the university president’s Advisory Committee on Labor Standards and Human Rights.“The committee found that the company had not respected the employees’ right to association and had not adhered to the company’s own standards of conduct,” Ms. Cunningham said. “We do not feel that continuing the license is appropriate.”Scott Nova, executive director of the Worker Rights Consortium, said, “Over a period of two years, Russell engaged in the systematic abuse of the associational rights of its workers in Honduras, thereby gravely and repeatedly violating the universities’ codes of conduct.” His consortium, an independent labor rights monitoring group, and the Fair Labor Association had previously found that Russell’s Honduras operation improperly fired 145 union supporters in 2007. After numerous universities and student groups protested, the company reinstated the workers, paid back wages and granted union recognition.The consortium also found that factory supervisors had harassed and intimidated union supporters and had denied union officials and government inspectors access to the plant.“This is a toxic company,” said Leigh Wedenoja, a University of Michigan senior who is a member of the president’s advisory committee as well as Students Organizing for Labor and Economic Equality. “We feel that if the university is serious about encouraging human rights, then we could not keep Russell as a licensee.”Last Friday, Cornell announced it was ending its agreement with Russell. A University spokesman, Mike Powers, said “Cornell is committed to respecting the rights of workers around the world, and we expect the companies that are licensed to produce Cornell apparel to share that commitment.”In its report last week, Russell wrote, “We acknowledge that management mistakes were made that led to a failure to adhere” to “standards on freedom of association.”The company vowed to improve its compliance and enhance what it called its “overall corporate social responsibility process,” includes having third-party monitors inspect factories. American Canvas is a screen printing studio committed to printing on sweatshop free and Eco friendly apparel. We're willing to take the time to educate our customers on the fact that there are many companies that are sweatshop free and cutting edge in the design world.We make it our priority to provide as many options as possible to create the perfect fashion statement for your needs! We provide options in Bamboo, organic cotton, recycled textile cotton and recycled plastic for polyester blends and sweatshop free cottons and high performance blends. We currently specialize in assisting companies to create their own retail lines of branded high end, fashion forward clothes. We also print for special occasion, annual event promotions and souvenirs as well as creating logo wear for businesses. We provide soft hand printing. Drop us a line, let us know what your looking for and we'll gladly send you a quote complete with photos of apparel options. Our clients ROCK our world! Visit them and see why we love them! So many people have invested an amazing amount of time away from their businesses to fight against and educated government officials on how protecting kids could be done responsibly. Following this information packed link you will see our next blog entry gives you, the consumer, the small business owner, the indi designer the opportunity to have your voice heard with a simple vote. 2009 color of the year! 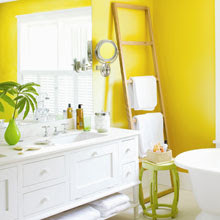 The unanimously elected paint color of 2009 is (drum roll, please)... Yellow! Experts across the board—from interior designers to paint supply giants—all agree that the warm freshness of yellow is just what our walls need this year. Inspired by your favorite cheery brunch cocktail, Pantone named Mimosa its color of the year. Leatrice Eiseman, executive director of the Pantone Color Institute, expects that this nurturing, reassuring color will appear in both interior and fashion accessories to spark innovation and inspire optimism during a new time of political and social beginnings. We are in what is suggested to be the slow time for printing studios. We have never really found that to be true. This year with the economic worries and all that stuff, we have new creative entrepenuers contacting us on a daily basis needing staff logo wear. New retailers needing clothing lines created for their in house brands. We are seeing that wonderful spirit of people going after their dreams no matter what!!!! I love this spirit in my kindered souls, the creativity that simply can not back down once it begins boiling in our blood. 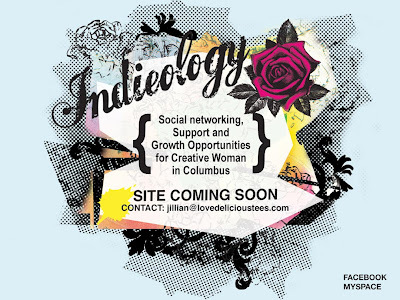 Artist and business owners alike have that fabulous streak of creative juices that keep our communities strong. Bravo to all of us for demanding our own reality checks vs. whatever the media or crazy politicians have to say! Speaking of politicians, YEAH!!!!!!!!!!!!!!!!!!!!!!!!!!!!!!!!!!!!!!!!!!! Thank you all for voting Barak Obama into power! WHOOOO HOOOOO! Support your local veggies chefs! Rad Dog makes us happy every time we see him. The best food, most gracious demeanor. 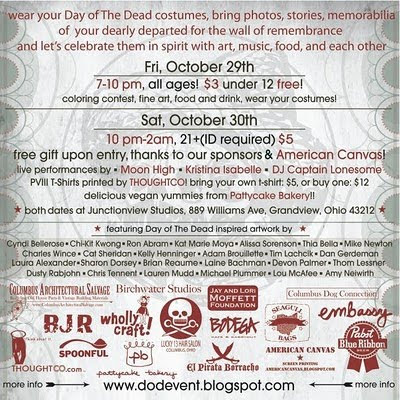 If there is a artsy event in Columbus, your most likely going to be able to feed your self with the treats that Rad Dog will have available at the event! Don't want to wait...check out his blog and see where you will find him! 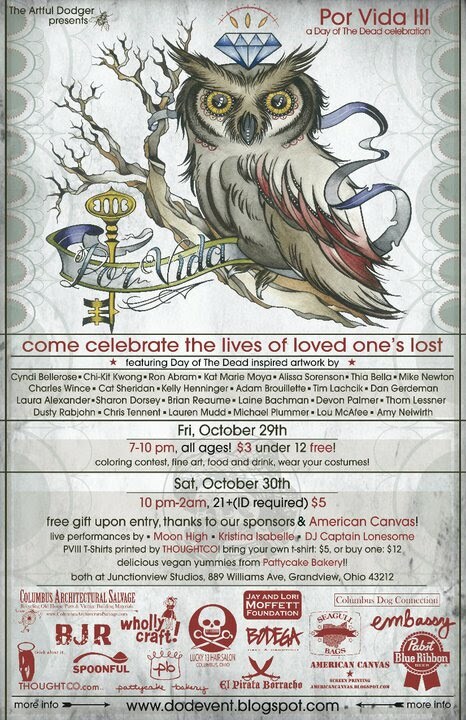 C Note the huge art happening at Junction view seems to be becoming Columbus' biggest Holiday art show each December. A massive amount of artist selling all peices of art for 1 C Note! Check out the site , definatly preview the art and shop away knowing you are supporting the Indi Art Capitol of the Worlds awesom artist! 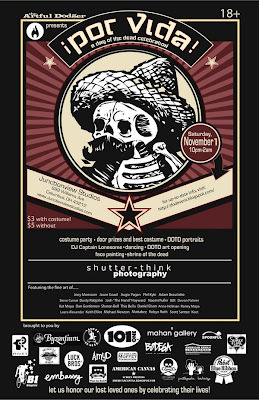 The Day of the dead event of the year! 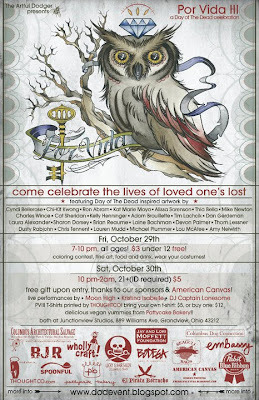 American Canvas is so proud to be a sponsor of the coolest holiday event of the year! An avid glass and bottle collector, I have lived in the Pennsylvania Amish Country all of my life. As a collector, I have spent countless hours poking through the many old glass and bottle dumps scattered throughout the natural wooded habitats and rural farmlands where I live. One thing that has always bothered me though, is how collectors take the valuable whole bottles and glass pieces, but leave the broken glass behind for the environment and the wildlife to deal with. I have seen baby deer laying in the broken glass, foxes, squirrels and countless other wildlife running through it. Even birds landing in the glass while searching for a meal. To me, though broken, this glass still has beauty and history, so I decided to pick up the pieces and turn them into something beautiful again, in my remarkable line of recycled glass jewelry. Each piece of this eco friendly jewelry is truly "A Little Piece of History for you to Wear." As a collector, I have prepared for each piece "The Story of the Glass" detailing what the glass was originally and the age of the piece. A truly unique way to preserve the past while helping the future. ROUND ROCK, Texas -- Dell's three-tiered plan to neutralize its carbon footprint has reached its goal five months early and saved the company $3 million, Dell said Wednesday. "It's a piece of our overall strategy and one we're pretty excited about," Dane Parker, Dell's director of environmental, health and safety, told GreenBiz.com. The company announced last year its goal of becoming carbon neutral by late 2008. Since then, it focused on reducing energy consumption and buying renewable energy before offsetting the remaining emissions. Overall, Dell lowered total energy demand by about 5 percent through efficiency projects such as lighting upgrades, HVAC retrofits, tweaking building temperature settings and shutting off computers not being used. Most projects had a payback period of three years or less, Parker said. As the company moves beyond the low-hanging fruit, it is considering projects with longer ROIs, such as equipment upgrades for building controls. Dell's data centers, accounting for about 20 percent of its global power use, represent another opportunity for energy savings. The company currently buys enough renewable energy to comprise 20 percent of its worldwide portfolio, the majority of it wind power. In the U.S., green power purchases meet a third of its demand. Dell now buys roughly 116 million kWh each year, compared to 12 million kWh in 2004. Although the company met its goal early, it will continue looking for ways to weave additional efficiencies into its operations, Parker said. In addition to electronics waste efforts and more efficient products, Dell plans to reduce and reuse 99 percent of its waste by 2012. "We're at 95 percent now," Parker said. "The last 4 percent doesn't sound like a lot but it's the hardest part." factories was finally settled for $20 million. celebrating (you can join them at their Web site, Unheard No More).